Late one evening last spring, along with millions of other stargazers around the globe, I watched as, in a matter of minutes, a brilliant full moon "disappeared" behind a dark shadow. Of course, we know that the moon didn't really disappear. The moon has no light of its own; it merely reflects the light of the sun. But when the moon ceased to shine, it wasn't because the sun's light was no longer shining. The "problem" was that the earth had come between the sun and the moon, causing the moon to become dark. The sun's light was eclipsed by the earth, making it impossible for the moon to shine. The event caused me to reflect in a fresh way on revival and its hindrances. Jesus is the Sun of Righteousness, the Light of the world. We have no light of our own--any light that shines from our lives is merely that which we reflect from Him. However, when the things of this earth come between us and the Lord Jesus, our view of Him is obscured and our light is diminished. And whereas a lunar eclipse happens only infrequently, it seems that our lives are prone to "spiritual eclipses." Therefore, we must continually be alert to anything which might come between our soul and the Saviour. What are some of those things that come between us and the Saviour? What keeps us from having a pure, unhindered relationship with Him and reflecting His light to our world? In my own life, there are several things that most commonly obstruct my view of the Lord Jesus and threaten to keep the light of His presence from shining in and through me. 1. An exalted view of "self" will cause us to have a diminished view of Jesus. It is true that when we "turn our eyes upon Jesus, the things of earth will grow strangely dim." It is equally true that when we fix our eyes upon ourselves, our vision of Jesus will become "strangely dim" by comparison. When He fills all our vision, the result is a humble heart that knows its own nothingness apart from Him. 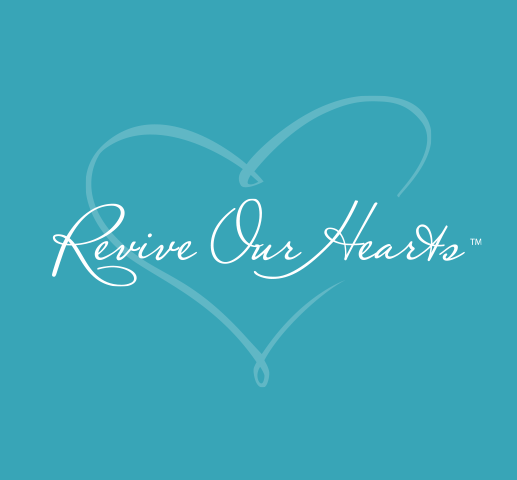 That is the heart God revives. But He is forced to resist the proud heart that causes us to live as if we were the center of our own world. Pride manifests itself in so many subtle, but lethal ways. In my own life, pride can sometimes be seen in a hidden desire for the praise and admiration of men, an insistence on being "right," the desire to be noticed and appreciated, fear of rejection, or just pre-occupation with myself--my feelings, my needs, my circumstances, my burdens, my desires, my successes, my failures. These are all fruits of that deadly root of pride. A heart filled with itself will be unable to behold the loveliness of Jesus and will cease to reflect His light. 2. Indulging our flesh, even in what others might consider insignificant ways, will quench the free flow of God's Spirit through us and erect barriers in our relationship with the Lord Jesus. Less than 24 hours ago, in the privacy of my own home, weary from days of intense labor, I found myself justifying a "small compromise." From the initial moment of temptation, in spite of my internal rationalizing, I knew that what I wanted to do would defile my spirit and grieve the Holy Spirit who lives within me and whose possession I am. But at that moment, I wanted "my way," more than I wanted to be right with God. No one was there to see or to know. No one but God. In saying "yes" to my flesh and "no" to God, I allowed an obstruction to come between my soul and the Saviour. I rejected the light of His countenance and embraced the darkness--all for a few moments of earthly enjoyment. How grateful I am for the persevering grace of God that quickly engineered circumstances to turn my face back toward His light, granting the gift of repentance and restoring in my heart a fresh love and longing for holiness. 3. Breaches in our relationships with others inevitably create an "eclipse" in our relationship with God. It is not possible for us to be right with God and not be right with others. How can we walk in the light of His forgiveness and mercy, if we are unwilling to extend forgiveness and mercy toward those who have wronged us? And how can we walk in harmony with a holy God, if we have sinned against others and refuse to humble ourselves and make it right? This morning as I was in the Lord's presence, the Holy Spirit brought to mind an issue that had been minuscule to me, but, from His perspective, had come between my soul and the Saviour. Recently, in the process of handling a business matter over the phone, I had been impatient with a clerk whose answer didn't satisfy me. Before I could continue seeking His face, I had to pick up the phone, call the company, and make the matter right with the woman with whom I had been annoyed. My conscience cleared with both God and man, the light of His presence could once more shine in and through my heart. 4. "Cares, riches, and pleasures of this life," like thorns in a garden, tend to choke out the life of God within us. In the course of everyday living on this planet, we are bombarded incessantly with "duties, delights, and diversions" that seek to consume our time and control our hearts. These things, while not inherently sinful, have an enormous capacity to steal our affection for the Lord Jesus. In a culture that insists that we "need it now," it is all too easy to lose our vision of eternity, of the soon return of Christ, and of our ultimate accountability before His judgment seat. Sheer busyness, even in Christian work, can so fill our vision that we have no time or place for Christ, and we find our light "eclipsed." The Shulammite bride in the Song of Songs laments having tended the "vineyards" of others, while neglecting her own vineyard and allowing it to fall into a state of disrepair. Only through concentrated, extended time alone in the presence and embrace of her Beloved is her soul restored, enabling her to go back out into the vineyards, this time in union and communion with Him. 5. Contentment with the status quo is one of the most subtle hindrances to revival. Comparing ourselves or our ministries with others tends to breed a sense of complacency in our hearts. It is much easier to rest on our laurels and enjoy the victories He has already given us, than to keep pressing on to know Him in deeper ways. A Chinese evangelist who had suffered much for his faith and was visiting America for the first time, was asked what stood out most to him about the church in the West. Without hesitation, he replied, "What amazes me most is how much you are able to accomplish . . . without God." We have settled for activity and results that make for impressive press releases, when God wants to shatter the darkness and overcome the strongholds of our world and establish His glorious kingdom in the hearts of men and nations. And on a more personal level, we have settled for living busy, productive, moral lives, when God longs to reveal His greatness and glory through us in ways that cannot be explained apart from Him. Leonard Ravenhill, that passionate servant of God, used to say, "As long as we are content to live without revival, we will." Until the day he went to heaven at the age of 86, Mr. Ravenhill never lost a sense of desperate need and intense longing for both personal and corporate revival. As long as we are satisfied with what our own hands and efforts can produce, apart from the effusion of the Spirit of God, we will not be likely to pursue Him with all our hearts, and still less likely to experience genuine revival. How is it between your soul and the Saviour today? Has any obstacle "eclipsed" your view of Him? Is there any hindrance that is keeping His light from being reflected from your life? If so, do not delay to deal with the issue, no matter how trifling or overwhelming it may appear to be. Pray with the psalmist that God will be merciful unto you and cause His face to shine upon You, "that [His] way may be known upon earth, [His] saving health among all nations" (Psalm 67:1,2).